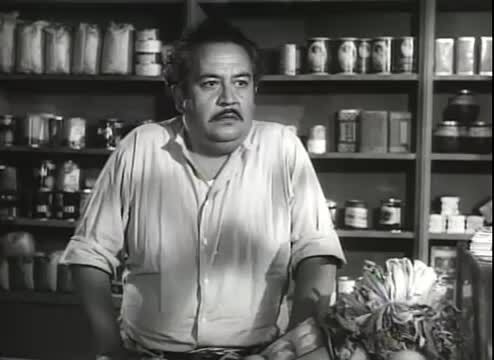 This is my entry to the Film Noir Blogathon sponsored by yours truly, Quiggy. Film noir. 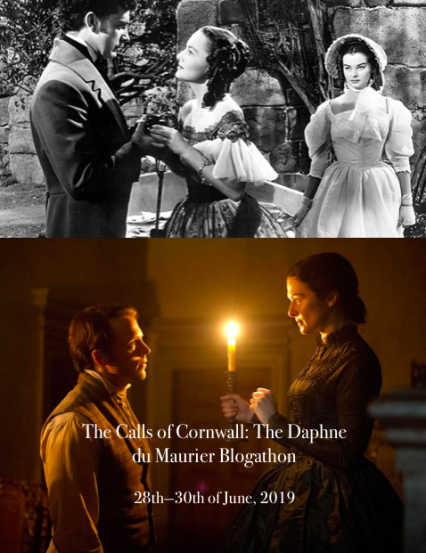 The concept is one that is familiar to aficionados of classic film, but may be a strange term to the novice. Film noir (or dark film, or if you will, "black" film) is a term that is used for films made in the 40's and 50's that featured some gritty crime dramas with characters who were not all that socially acceptable by the norms of the day. 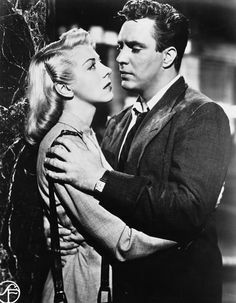 The classic film noir characters were bad guys with almost no scruples and good guys who had only a few more scruples than their counterparts. Or, as in the case of the following two entries, the good guys just found themselves thrown into a hellhole they never expected and had to confront demons that would never have happened to the average person. This is NOT a spoiler! 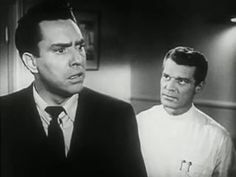 Frank Bigelow (Edmond O'Brien), in a long opening sequence goes in to the L.A. police office to report a murder, his own. The police however are expecting him. He had last been seen in San Francisco. Bigelow goes into detail, via flashbacks, of what happened since a couple of days before. The flashback sequence opens with Bigelow making plans to take a few days away from his accountant office in Banning. He has something of an argument with his secretary, Paula (Pamela Britton), who is also his girlfriend, who resents that he is taking the trip alone. She thinks he is just going to get away from her. After, he arrives, he finds a town and a hotel room that is awash in parties. Apparently he has arrived on the last day of a convention. He hooks up with a fellow attendant across the hall of his hotel room and ends up in a bar called "the Fisherman" down on the waterfront. He makes arrangements to meet a girl he sees there later, while, unbeknownst to him a mysterious figure switches his drink on him. (It will become apparent shortly that the drink was poisoned). He wakes up, not feeling all that hot, and attributes it to having too much to drink. When the hangover does not dissipate, he goes to a doctor where he is informed that he has ingested a "luminous poison" and that he is going to die and nothing can be done to save him. He doesn't believe the doctor, and with a "shattered look", apparently runs across the entire city of San Francisco to get a second opinion. This doctor not only confirms the poison, but also tells him since he didn't know he took it, he has been murdered. The plot reveals that Bigelow had unwittingly notarized a bill of sale to the dead man for a batch of stolen "iridium". 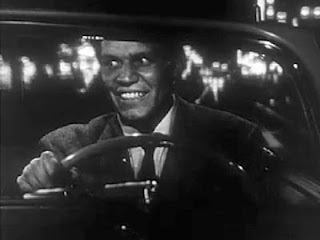 The man to whom it was sold, a man named Majak (Luther Adler), tries to dissuade him from investigating any further, including having one of his henchmen, Chester (Neville Brand, a familiarly sadistic character actor) take care of him, but Bigelow gets the upper hand and ditches him. It turns out, of course, that the notarizing of the stolen "iridium" is NOT exactlyy the reason Bigelow was poisoned. 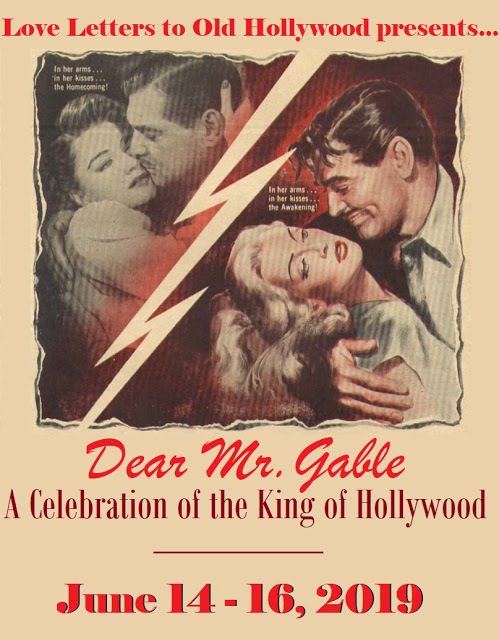 Red herrings abound within this movie, and all issues are resolved, but if you are a little dense like me, you may have to watch it twice to figure out the real reason he was poisoned. Still, this classic edgy noir is one of the best of the bunch that I've had the pleasure to see. 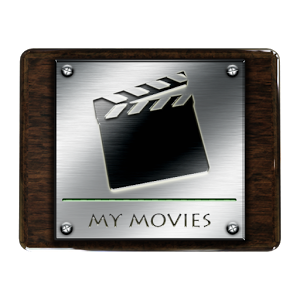 The movie starts out following a mysterious figure who keeps hitch-hiking, and then hijacking the cars while killing the owners. The police come across the remains, or at various times, the ditched cars, but we don't see the killer only the victims until later in the movie. 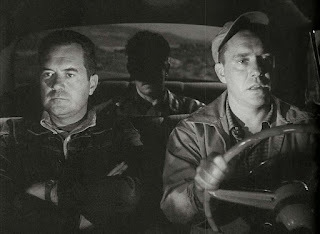 Roy Collins (Edmond O'Brien) and Gilbert Bowen (Frank Lovejoy) are driving in Mexico on a fishing trip. They pick up a hitch-hiker, who, unbeknownst to the two is the escaped criminal Emmett Myers. Of course, if you watch the opening credits, you already know that the third star, William Talman, is going to be the titular "hitch-hiker". Even knowing that, you could hardly be blamed if you didn't recognize him. Previously, in my own experience, I only knew Talman as the straight-laced D.A. Hamilton Burger on the TV series "Perry Mason". In this movie, Talman is a lot more rugged looking and has a partially paralyzed eye which gives his face a gaunt look. Perfectly fitting for the type of character he is essaying, a sadistic, moral-less criminal. Myers hijacks our reluctant duo and forces them to drive to Santa Rosalita, where he plans to take a ferry across the Gulf of California to safety in Mexico. Along the way he sadistically threatens to shoot them if the radio reports end up linking him to the two and his whereabouts. Luckily for them, at least in the early part of the movie, the authorities think he is anywhere BUT south of California. Myers hampers any success attempts at escape by refusing to let his victims us Spanish when talking to the locals, some of which don't understand any English. Collins and Bowen, for their part do any number of various attempts to give away their whereabouts, but Myers always seems to be having the upperhand on any of these tricks. Things don't look well, even after Collins manages to sabotage the car so that the three have to continue on foot. They are slowed somewhat by the fact that Collins has a twisted ankle and can't move as fast. When the trio finally arrive in Santa Rosalita, it turns out that the ferry that was to be Myers salvation had recently burned up, so they are stranded in Baja California. But they find a willing man to charter his fishing boat to get them across. Will Myers escape? Will he kill Collins and Bowen before he does? Tune in to find out. Enjoy both of these. And always watch you drink, and NEVER EVER pick up strangers on the side of the road. Drive home safely kiddies. 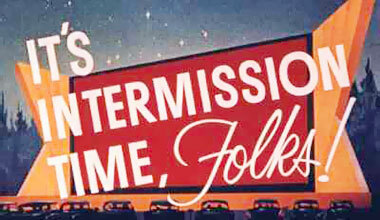 I need to see it again soon. The only movie plot that comes close to it, in my opinion, is Memento years later. Have never seen The Hitchhiker but now I am primed for it...looks like a winner. Thanks again for being our Blogathon Master Extraordinaire! 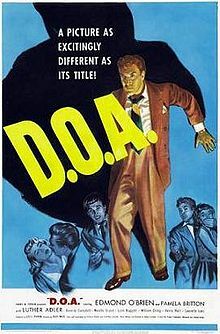 I believe it took me three viewings to fully understand "D.O.A.". It's like some people, you really like them, but you don't understand them. William Talman was such a versatile actor. As much of a psychopath as he is in "The Hitch-Hiker", his idealistic rookie cop in "The Racket" is just as fine. Hey, another review of a 'Talman Noir'! I thought D.O.A. 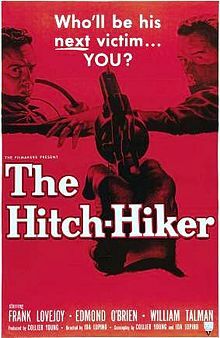 was good, but I really liked 'The Hitch-Hiker'...man oh man, was Talman quite the scary individual! A neat story, too, and I love that it was directed by Ida Lupino! 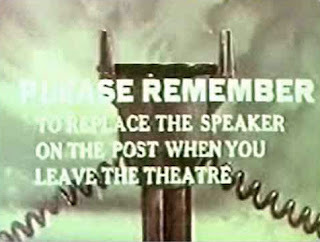 Thanks for hosting the blogathon. Quiggy...I'm gonna have fun checking out all these noirs! I'm still working on reading them all myself. Thanks for the comments. Love your Edmund O'Brian double feature- don't make'em like they used too. DOA is just one of the best movie concepts ever- its so unique even to this day- and I love the opening sequence- so dramatic yet you know so little going into it. 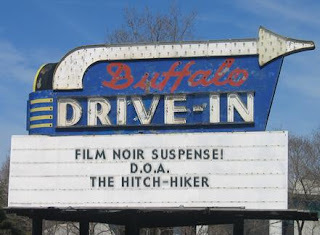 Hitch Hiker- Lupino is just awesome and again I love the opening! Great choices! Talman was a surprise in Hitch-hiker. Have to look for more of him as a bad guy... Thanks. I still have to rewatch D.O.A., but I do think it's one of O'Brien's best performances. And I love The Hitch-Hiker. I'm not all that familiar with William Talman, but he played a good guy in The Racket and I kept thinking back to Emmet Meyers. Thanks for the comments and attention to this post. I own D.O.A going to have to watch it soon! Thanks for hosting! Edmund O'Brien is a bit underrated, wouldn't you say? I think he's terrific in everything – always gives a solid performance. And you've featured two great examples here. You've got me in the mood to plan a D.O.A. / The Hitchhiker double header next weekend! Thanks. You know, I used to pick up hitch-hikers all the time when I was younger. Glad I never ran across an Emmett Myers. Hope you enjoy the double feature. I haven't seen DOA in years, but I remember being very impressed with it. I just caught Edmund O'Brien in the Alan Ladd western "The Big Land" last month, and really liked him in that too. If you hadn't told me the actor's name or that he played Mr. Burger in Perry Mason, I don't think I would have recognized him in that photo! Wow, what a different role for him. That haggard look and that scary lazy eye (how did he swing that, I wish I knew...). He made one of the most intense villains I've ever seen this side of Mitchum in Cape Fear. D.O.A. 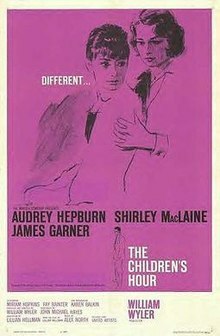 is both a classic and a masterpiece, with Edmund O'Brien, always a fine actor, giving one of his greatest performances. 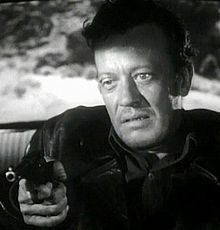 I have not seen Ida Lupino's "The Hitch-Hiker" in quite a while, but I'll look at it again to catch William Talman -- I've been watching "Perry Mason" lately and he and Raymond Burr make superb sparring partners! I have another of Talman as a bad guy on my to watch list from this blogathon. I guess I've missed out by only watching him in Perry Mason. I'm going through all of last years blogathons I participated in and make sure I read and comment on all the hosts posts, something I often forget to do. I started watching both of these on Youtube during the Summer of Darkness online class but ended up saving the links to watch later. However, reading this post makes me want to go watch them right away! They are both worth the time. Thanks.